RORY McIlroy has survived a dramatic final round to win the $17.6m Players Championship at TPC Sawgrass. 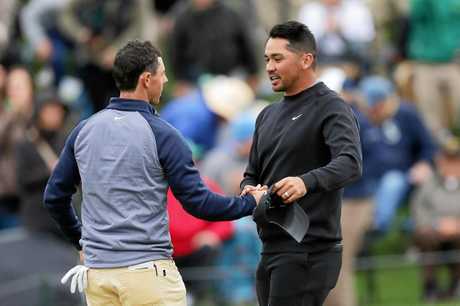 Former world No.1 McIlroy bounced back from an early double-bogey to post a two-under-par 70 and, at 16 under, won by one shot from Jim Furyk (67), with Eddie Pepperell (66) and Jhonattan Vegas (66) sharing third at 14 under. The 29-year-old McIlroy collected a $3.18m payday for his TPC Sawgrass victory while recording his 15th win on the PGA Tour, which includes four major championships. McIlroy made the turn in one-over and traded the lead several times before putting the foot down with birdies at the par-5 11th and driveable par-4 12th. He then responded to a bogey at the 14th with a pair of birdies at 15 and 16. 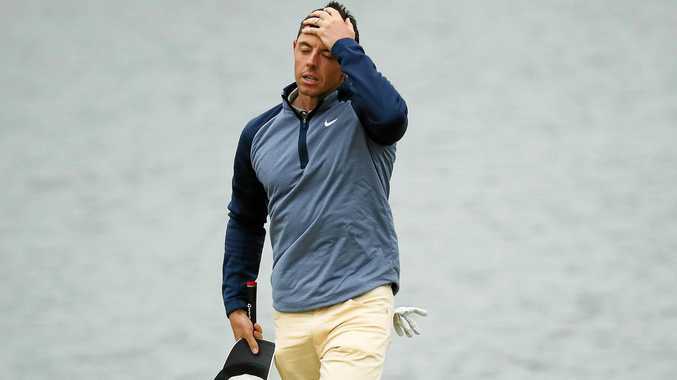 The Northern Irishman stood on the 72nd tee with a one-shot lead but banished any nerves when he smashed a 288-yard drive down the fairway and stiffed his approach to 15 feet. McIlroy two-putted for a par, with his victory elevating him two spots on the world rankings to No.4. Meanwhile, Jason Day started the final round three shots from the lead but a disappointing 72 left the 2016 Players winner at 12 under and tied for eighth. A shot back of Day was fellow Australian Adam Scott, with the 2004 Players winner posting a final-round 70 to share 12th at 11 under. Cameron Smith rounds out the Australian contingent and the world No.24 signed for a 71 to finish golf's unofficial fifth major with a two-under total. Tiger Woods signed off with a 69 to sit at six under in a tie for 30th. The Players Championship is the PGA Tour's flagship tournament and its prize is the richest on the US circuit.